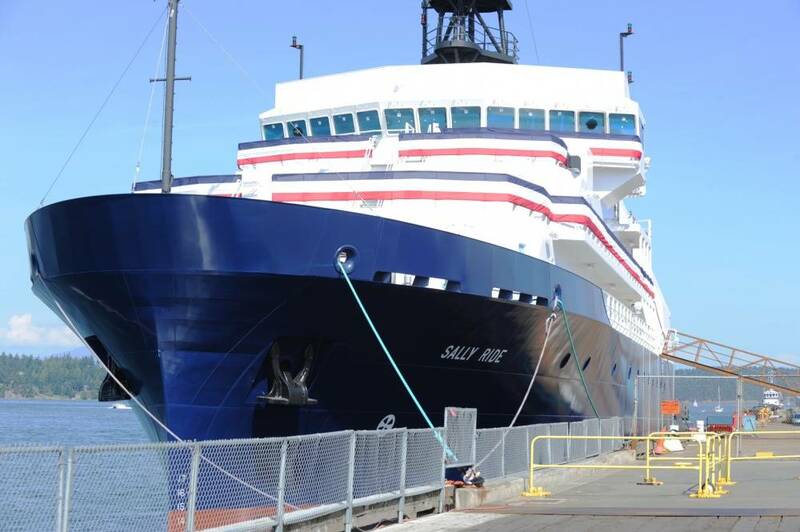 The U.S. Navy's new Auxiliary General Purpose Oceanographic Research Vessel (AGOR), R/V Sally Ride (AGOR 28), has completed builder's trials, February 21, off the coast of Anacortes, Wash. Builder's trials for Sally Ride tested various shipboard systems and ensured readiness prior to conducting acceptance trials with the U.S. Navy's Board of Inspection and Survey. The propulsion system, mission-over-the-side handling equipment, anchor handling system and work/rescue boat launch system were among the systems successfully demonstrated. "R/V Sally Ride performed remarkably well during builder's trials these past few weeks," said Mike Kosar, program manager for Support Ships, Boats and Craft. "Our entire Navy and shipbuilder team have done an outstanding job in preparing the vessel for upcoming acceptance trials." Based on a single-hull commercial design, R/V Sally Ride is approximately 238 feet long and incorporates the latest technologies, including high-efficiency diesel engines, emissions controls for stack gasses and new information technology tools both for monitoring shipboard systems and for communicating with the world. Oceanographic research vessels provide scientists with the tools and capabilities to support ongoing research, including in the Atlantic, Western Pacific and Indian Ocean regions across a wide variety of missions. Upon delivery, the ship will be operated by the Scripps Institution of Oceanography under a charter party agreement with Office of Naval Research. The vessel has accommodations for 24 scientists and will operate with a crew of 20. 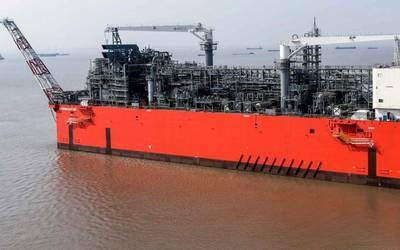 This is the second ship of its class built by Dakota Creek Industries. The shipbuilder also constructed R/V Neil Armstrong (AGOR 27), which delivered to the Navy in September 2015.